Unfortunately, with all good things, there is the equal and opposite. The Yin to my yang. And with the improvements and availability in technology, we now have a new syndrome; the iHunch. To put it simply, it is due to looking down far too much. As with anything, our body adapts to regular postures that we hold, so if we are regularly looking down at the device, our upper spine gradually normalises that position and loses extension. This causes our head to protrude forward and the shoulders to be hunched. 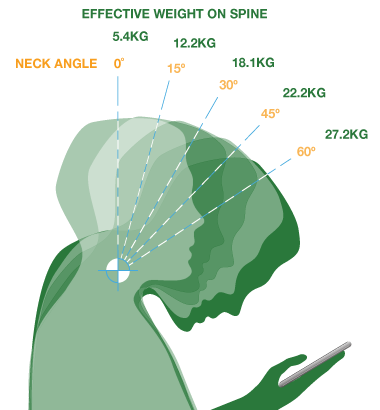 The more forward the head is the more load on the neck. 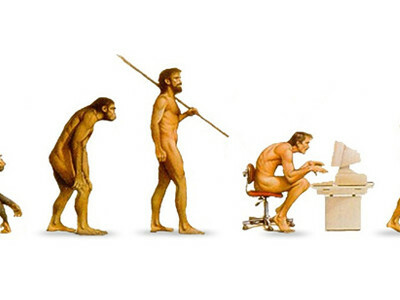 So don’t let your body revert to the hunched over caveman look and it isn’t just enough to pull your shoulders back and straighten up because your body has adapted to how it is now, you need the right treatment and exercises to improve it again. At PhysioSteps we can individually assess and treat people suffering from neck and upper back pain, as well as headaches. With this sort of pain, the faster something is done about it, the easier it is to fix, leaving you more energy and freedom to enjoy the activities you love most!